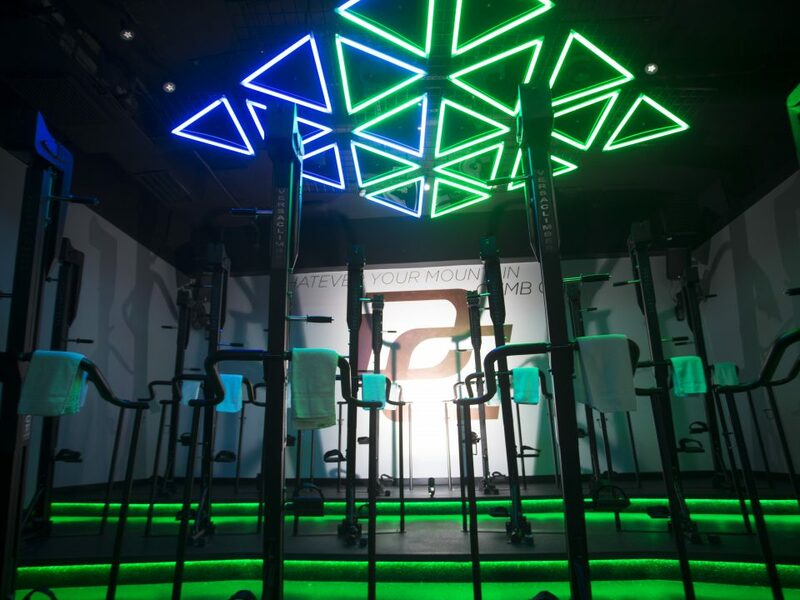 Twenty VersaClimbers staggered at an incline in the dimly lit District Climb studio engaging in a full-body workout. Haven’t you heard? The ‘80s are back. Take on District Climb’s updated throwback workout, one step at at time. Yet another boutique workout haunt has hit West Village. 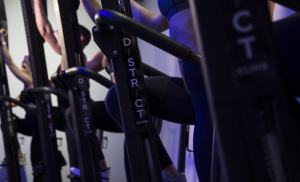 District Climb, the class concentrating on the VersaClimber machine that LeBron James and Lady Gaga swear by, offers a total body workout in a heart-pumping studio environment. Calorie torching indoor climbing classes have the feel of a spin class with lively choreography, neon lights and rhythmic music. 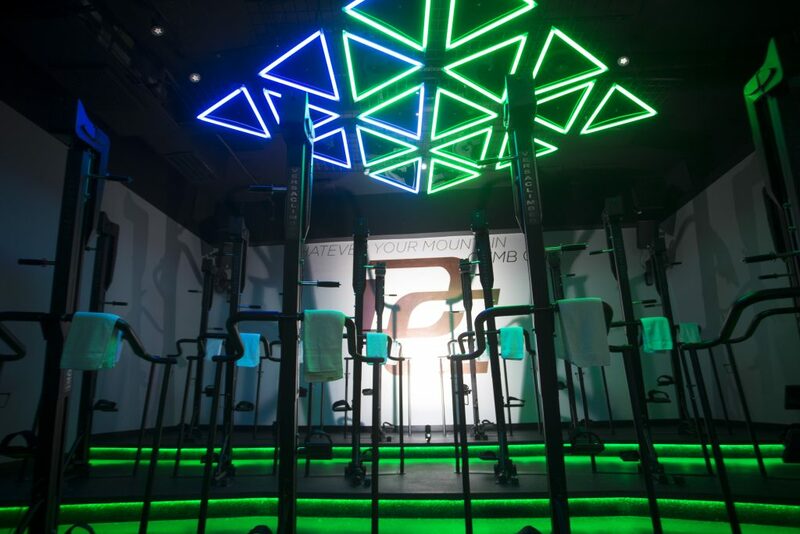 Each class is designed to engage your shoulders, arms, laterals, obliques, quads and core—while burning 500 to 1,000 calories, depending on class level—and the seven-foot VersaClimbers assure zero impact on your joints. The 25 minute sweat-inducing classes finish off with five minutes of stretching resulting in a burst of feel-good hormones. Squeeze it into your work day, but don’t underestimate the short class; you’ll feel sore the next morning in the best way possible.